*The New Haven Register ran a Page 1 story on June 29 about the research of Miranda Dunbar, assistant professor of biology, and senior biology major Christopher Wisniewskiregarding White Nose Syndrome, a deadly disease that is killing bats in frightening numbers. The story also noted that the two have put up a few bat houses on campus, which are designed to give a small number of bats a safe refuge. Miranda is an established expert on bats, while Chris also has done extensive research on them. A photo of the two in front of a bat house is included on Page 1. *Tracy Tyree, vice president for student affairs, and Jean Breny, chairwoman of the Public Health Department, were quoted in a story June 28 that ran in the New Haven Register about what qualities make college students stand out among their peers. The story was part of a supplement called “Celebrate the class of 2015.” The supplement also included several photos of Southern students from this year’s undergraduate commencement exercises at the Webster Bank Arena in Bridgeport. Tracy and Jean shared their insight and suggestions to college students. *A picture of Eric Triffin, long-time adjunct faculty member in the Public Health Department, appeared in the New Haven Register on June 28. He was rehearing for an International Festival of Arts & Ideas concert, dressed up as Snappy the Peas/ce Pod, as part of an effort to encourage children to eat healthy foods, such as vegetables. *Tim Parrish, professor of English, has appeared in several media outlets over the last few days. As a result of the op-ed, he was interviewed on June 22 on the Politics of the United States radio show, hosted by Michael Smerconish, on SiriusXM. He also was a June 20 guest on the Mississippi Public Television network to talk about the Eudora Welty Writers’ Symposium. *The New Haven Register featured Southern’s Human Performance Lab as the lead storyJune 18 in its Sports Section. The article included two major projects with which the lab is currently involved – testing of runners using a state-of-the-art treadmill that can detect flaws in running form that may lead to hip, knee and ankle injuries; and testing of a new shoe insole by the Roar Performance company of Milford to determine if the insert enhances athletic performance. The article also mentioned the lab’s ability to test for VO-2 max, an important test of maximum oxygen consumption for distance runners, as well as body fat composition. A picture of the insert, the treadmill and of two of Southern’s Exercise Science Department faculty members – Bob Gregory and Bill Lunn – also are included in the piece. Bob and Bill play key roles in the lab operations. *An op-ed appearing in the June 15 edition of the New Haven Register mentioned the recently launched program at Southern to boost the state’s bioscience efforts. The op-ed was co-authored by Susan Froshauer (president and CEO of CURE, the network of life and healthcare sciences companies in Connecticut) and Robert Skolozdra (a local architect). *The New Haven Register ran a June 13 story about a documentary, “Letter From Italy, 1944: A New American Oratorio.” Sheila Hickey Garvey, professor of theater, appears in the documentary. She directed the 2013 oratorio, “Letter From Italy, 1944,” on which the film is based. The production talks about an American soldier who fought in World War II and suffered from PTSD. 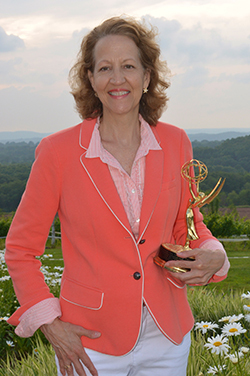 The documentary was produced by Karyl Evans, who has taught at Southern. *The New Haven Independent posted a story June 10 in which Marna Wilber, president of the New Haven Manufacturers Association (NHMA) Board of Directors, was interviewed. During that interview, she mentioned some NHMA initiatives, including next month’s Materials and Manufacturing Summer Teachers Institute, a collaborative effort with Southern. *Elliott Horch, professor of physics, is the focus of a cover story in the June edition of New Haven Living magazine, a sister publication of the Hartford Courant. The story talks about a couple of major projects that Elliott has conducted for the National Science Foundation and his role in NASA’s Kepler Mission – a project to find Earth-like planets in the Milky Way Galaxy. It also refers to the impending opening of the Academic and Laboratory Science Building. Although not as well known as its Surface Web cousin, the Deep Web can provide people with a wealth of information on myriad topics. You’ve probably heard that people use only about 5 to 10 percent of their brain. (As pointed out in a previous post, that’s actually a myth. We use our entire brain.) Nevertheless, the 5- to 10-percent figure is popularly believed. 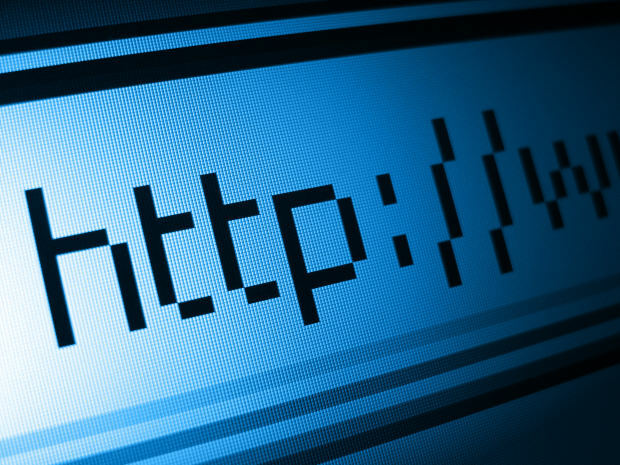 In a similar vein, only about 4 percent of the World Wide Web is part of the Surface Web (sometimes called the Visible Web), the part that is easily accessible to people. And that isn’t a myth. Lisa Lancor, chairwoman of the Computer Science Department at Southern, points out that about 96 percent of the World Wide Web lives in the “Deep Web.” The precise percentage is impossible to calculate, but most experts believe it falls somewhere between 95 and 99+ percent. The Deep Web includes those items that are not indexed by popular search engines, such as Google and Yahoo! It can be anything from new Web pages that an agency does not wish to go public with at the moment; to classified information from governmental agencies or other organizations; to searchable databases. If you are using a library database, you are probably in the Deep Web. Tax collection information controlled by municipalities is another example. Lancor says that sometimes people confuse the Deep Web with the Dark Web. The Dark Web is only a relatively small part of the Deep Web. Many illegal operations, such as “Silk Road” until it was shut down by the FBI, exist on the Dark Web. (Silk Road was an electronic marketplace for illegal drugs.) She notes that the Dark Web is rife with illegal activity. But she points out that not everything on the Dark Web is bad or illegal. For example, conversations with political dissidents by journalists or U.S. government officials, are conducted on the Dark Web as a means to try to maintain anonymity. But the Deep Web has much in the way of valuable information that is not as easily accessible as on the surface Web. Many databases on a vast array of subjects are part of the Deep Web. “A slew of resources are available to explore the Deep Web, including meta-search engines, semantic databases and some pay-for-search services,” Lancor says. She points to a list of Deep Web tools recently published by Online College Blog as potentially valuable to Internet users. Other special pieces of software are also available to surf the Deep Web (including the Dark Web) with the intent of doing so anonymously. But Lancor cautioned that it is best to assume that those networks have been compromised by government intelligence operations. The job search after commencement can seem like a daunting task, even for those who are well-prepared. 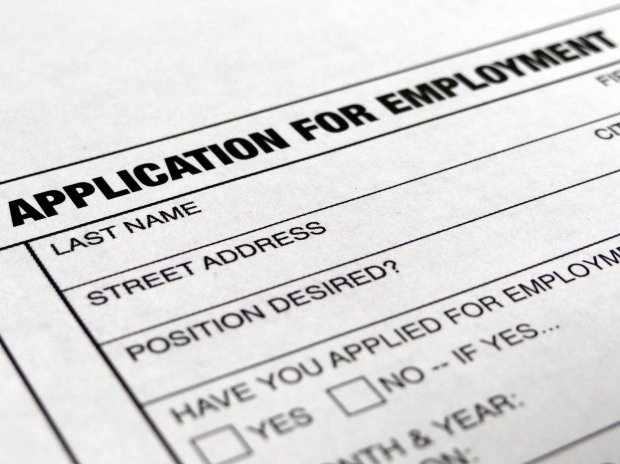 As college and high school students receive their diplomas this spring, thoughts of finding a job are bound to proliferate. Can I find a job that fits into my career plans? How long will it take to find something…anything? What can I do to maximize my chances of landing a particular position? Two years ago, then Gerri Prince, Southern’s coordinator of employer recruitment programs, and Pat Whelan, who was then the university’s associate director of career services, offered some helpful suggestions to new graduates. We thought this would be a good time to share that post with our readers. Good luck to all the graduates! Barbara Aronson (left) and Lisa Rebeschi (center) of the Nursing Department are recognized by the Connecticut Nursing Collaborative Action Coalition for their efforts to improve the quality of nursing education in Connecticut. Also pictured is Marianne Kennedy, former associate vice president for academic affairs. 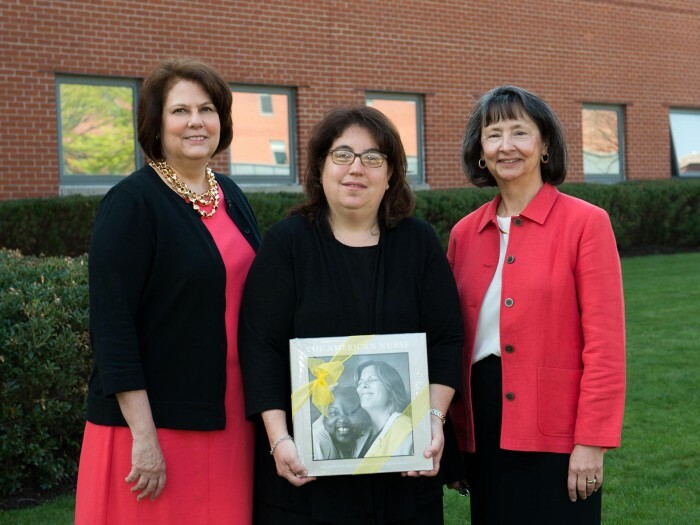 Two nursing faculty members at Southern were honored recently by the Connecticut Nursing Collaborative Action Coalition (CNC-AC) for their effort to eliminate the gap between academia and real world practice. Lisa Rebeschi, chairwoman of the SCSU Nursing Department, and Barbara Aronson, coordinator of SCSU’s nursing doctoral program, were presented awards at the CNC-AC’s Education Summit held at the Yale School of Nursing. A recent initiative, supported by the Robert Wood Johnson Foundation, seeks to minimize the divide and better prepare students to be nurses. Nurses and nursing faculty at SCSU, Gateway Community College and Yale-New Haven Hospital worked collaboratively on the project. The project enabled faculty to analyze their curricula, as well as real world patient care, leadership, technology, communication and teamwork, safety, quality improvement and evidence-based practice. The goal is to better prepare nursing students with the knowledge, skills and attitudes to provide high quality and effective care. The analysis also assists in identifying the educational needs of associate degree nursing students who begin baccalaureate nursing degree programs. More than 175 recommendations were made and an action plan developed to implement many of these strategies during the next several years. Sandra Bulmer, interim dean of the SCSU School of Health and Human Services, said Rebeschi and Aronson have made substantial contributions that will have benefit the future of nursing education in Connecticut. “Their wealth of experience as nurse educators in public institutions added important perspectives to the work of the CNC-AC,” Bulmer said. The university community is saddened to learn of the passing of Dr. Noble Proctor, professor emeritus of biology and noted ornithologist who taught at Southern for 34 years before retiring in 2003. A memorial gathering in remembrance tor will be held on Tuesday June 9 from 6:30-9:00pm in the third floor auditorium of the Yale Peabody Museum of Natural History (170 Whitney Ave., New Haven, CT). 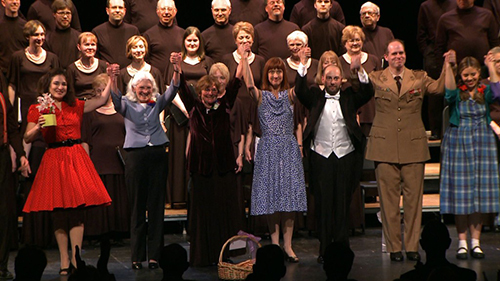 In April 2013, Theatre Professor Sheila Hickey Garvey served as theater director for the Greater Middletown Chorale’s (GMChorale) production of Letter from Italy, 1944, a dramatic oratorio comprised of 24 choral and solo pieces, performed by the 80 members of the chorale. The oratorio told the true story of one man’s experiences during wartime. In addition to serving on Southern’s faculty, Garvey is resident director of the GMChorale. On June 18 at 8 p.m., a new documentary about the oratorio will premiere on Connecticut Public Television (CPTV). Commissioned by the GMChorale, the film explores the effects of war on a soldier and on his relationships with his family through the lens of staging a new American oratorio. Narrated by Academy Award winner Meryl Streep, the film was directed by five-time Emmy Award-winning filmmaker Karyl Evans (left), niece of Southern’s Hilton C. Buley and formerly a member of the Communication Department faculty. The film Letter from Italy takes viewers on the journey of the creation of an oratorio written by two sisters, Sarah Meneely-Kyder and Nancy Meneely, about their father, Dr. John K. Meneely Jr., a doctor trained at Yale Medical School (1941) who served as a medic in the elite 10th Mountain Division during World War II. He returned home from war in Italy with post-traumatic stress disorder and tried to rebuild his life. Meneely-Kyder, a Grammy-nominated composer, and Nancy Meneely, a noted poet, both Connecticut residents, wrote the compelling two-hour oratorio in collaboration with GMChorale Artistic Director Joseph D’Eugenio of Hamden. “Karyl Evans’ enormous gifts as a storyteller and filmmaker are palpable through the tone and atmosphere she creates in telling this powerful story about an American soldier’s struggle with PTSD,” D’Eugenio says of the documentary. The film tells the history of the 10th Mountain Division — still active today — and the life of John Meneely, and then follows the creative process of the writing of the oratorio’s lyrics (which are based on Dr. Meneely’s poetic letters home from war) and music, as well as the staging of the oratorio by theater director Garvey and the intensive rehearsal process with the GMChorale’s 80 members and the soloists, including tenor Jack Anthony Pott and Metropolitan Opera soprano Patricia Schuman. The film uses interviews with the creators, singers, three World War II 10th Mountain Division veterans, historians, audience members, community participants and other veterans, as well as archival photos and film, to weave together a compelling story about a veteran and his family and the way a shared artistic experience can help heal the trauma of war. The film Letter from Italy, also commissioned by the GMC, was made possible with the major support of the state DECD/Connecticut Office of the Arts. For more information on the program, visit CPTV.org or the GMChorale’s website. A promotional video about the film is available for viewing on YouTube. Photo below: Garvey (center, in blue dress) and the composers, director and cast of Letters from Italy, 1944, take a bow at the oratorio’s 2013 production.